Ed Miliband's appropriation of the mansion tax from the Liberal Democrats 'might suit Labour in electoral terms' but still leaves him short of original policies, according to comms experts. In a speech yesterday the Labour leader outlined the idea that by applying a so-called ‘mansion tax’ to properties worth more than £2 million he could fund a tax cut for 25 million people. ‘He’s stolen the Lib Dems' most well-known policy, the mansion tax, so clearly he is trying to attract dissatisfied Liberal Democrats,’ Nick Williams, head of public affairs at Fleishman-Hillard, told PRWeek. 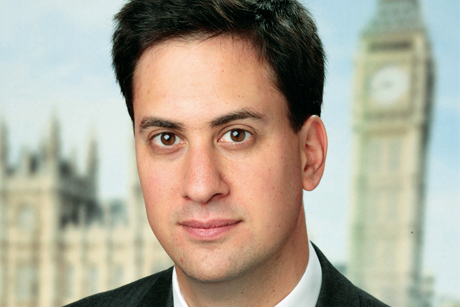 Miliband cast the tax cut as a restoration of the 10p rate abolished by Labour chancellor Gordon Brown in 2007 in his final Budget before becoming prime minister. However, Lionel Zetter, public affairs director at APCO, claimed Labour had ‘miscalculated’ with the announcement. ‘Borrowing policies from the Lib Dems might suit them in electoral terms but will make it look like they cannot come up with ideas of their own,’ he said. Williams admitted that Miliband ‘has been slow to come up with policies that are going to resonate with the general public – Labour’s own polls have been showing that’. The mansion tax is a pet idea of senior Liberal Democrat Vince Cable, the Business Secretary, but was rejected by his coalition partners. The vast majority of properties it would affect are in London and the South East. ‘The major implication of the mansion tax is for people in London,’ Williams said. ‘Thus the Labour Party last night tried to counter this by getting Ed Balls to write a major article in the Evening Standard to head any criticisms from London off.